Pop quiz: What’s the first line of defense when it comes to the safety of your vehicle? If you answered “brakes” you would be correct. While it’s not as high-tech as the driver assistance features that are becoming more and more prevalent in new vehicles these days, the ability to stop while driving in your car is of the utmost importance. That’s why it’s always a good idea to have your brakes checked when you bring your vehicle in to a service center like Mercedes-Benz of Lynchburg. We’ll perform a no-obligation inspection on your braking system and let you know if any service or replacement is needed. You can make an appointment for this and any other maintenance item online at Mercedes-Benz of Lynchburg, located at 2643 Lakeside Drive, Lynchburg, VA 24501. There are some signs that you can look for in order to determine if it might be time for brake service or an inspection at Mercedes-Benz of Lynchburg. The most common symptom is if your vehicle shudders when you apply the brakes while driving on the roads in and around Lynchburg and Bedford, VA. Another sign to be on the lookout for is “squishy” brakes. This means that you have to press the brake pedal very hard or all the way down to the floor to achieve the desired stopping power. If you are experiencing either of these symptoms, then we strongly urge you to bring your vehicle in for an inspection at our Lynchburg, VA, Mercedes-Benz dealership. The good news is that in most cases, a complete replacement of your braking system isn’t needed. It’s usually parts or components of the system that wear down and need replacement. 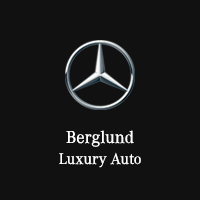 Either way, you can rely on Mercedes-Benz of Lynchburg to provide you with service discounts on this and other maintenance items related to your car, truck, van, or SUV. Check out all our service specials online and then schedule a visit for brake service or any other maintenance item today at Mercedes-Benz of Lynchburg.